Chandigarh: To curb unnecessary overflow of patients to Post Graduate Institute of Medical Education and Research (PGIMER) Chandigarh, the Union Health Minister J P Nadda gave his suggestion to the state government for introducing state-level audit of doctors in Himachal Pradesh. The Minister informed that he has advised the Chief Minister Vipin Parmar, to conduct an audit of the cases which can easily be treated at primary level but are being unnecessarily referred to PGI without proper assessment. The Health Minister emphasized more on the improvement and up gradation of primary health centres in far-flung areas of Himachal Pradesh as well as other states on the terrain. The minister informed about the audit to the daily while returning from the groundbreaking ceremony of AIIMS Bilaspur. 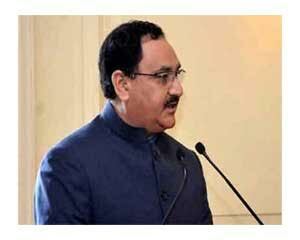 Nadda termed the setting up of AIIMS at Bilaspur as a milestone in achieving better healthcare facilities in the state. He confirmed that two years deadline has been set for the completion of the institute. He further added the information regarding the allocation of funds by the centre. Himachal Pradesh has been allocated Rs 1,430 crore under National Health Mission since 2014 and Rs 1,348 crore has been released so far. The government has given the approval of Rs 213 crore under Pradhan Mantri Swathya Suraksha Yojana for which the centre will provide Rs 120 crore. Besides, Rs 510 crores have also been approved for setting up medical colleges in the state. But most often it is due to lack of medicines and diagnostic facilities that a patient is refferd to higher centre. FIRST TIME I HAVE COME ACROSS , SOME ONE COMES OUT SENSIBLE SUGGESTIONS LIKE OVERFLOW OF PATIENTS . HATSOFF THIS GENTLEMAN , QUITE OFTEN I GET A FELLING THAT LAW MAKERS ARE MUCH BETTER AND MORE CONCERNED THEN THE BABUS THE BUEROCRATES. THIS ONE GOOD EXAMPLE .